In sport it has seemed for a while now that the week following a coaches sacking, the team always bands together for a win. For some reason everything clicks into its rightful place and the team posts a win and the new coach has a 100% success rate to start. It begs the question, what is so different? A new coach cannot stamp his authority on his team in less than a week of arranging the team to play to his style and standards. Al Westover and the Melbourne Tigers are the most recent example of this. In the current NBL season the Tigers are languishing second last on the ladder, with the newly reformed Sydney Kings the only team below them. They have been struggling all season, however things were beginning to look up when Corey ‘Homicide’ Williams was brought in to replace TJ Campbell. The team began to play with more fluidity and notched a few wins, talk started in media circles about the possibility of a playoff berth, let’s face it however, they are nowhere near making playoffs this season. It was after the Australia Day round loss to the Kings at the State Netball Hockey Centre that seemed to seal Westovers fate. Rumors were floating around about Westover losing his job, along with two of the Tigers players. To those with knowledge of the NBL it seemed the Tigers were throwing in the towel for the season and wanted a scapegoat. Westover lost his job as Tigers coach, even though four years ago he signed a five-year deal with a five-year option that seemed to show the loyalty the Tigers had for the man. 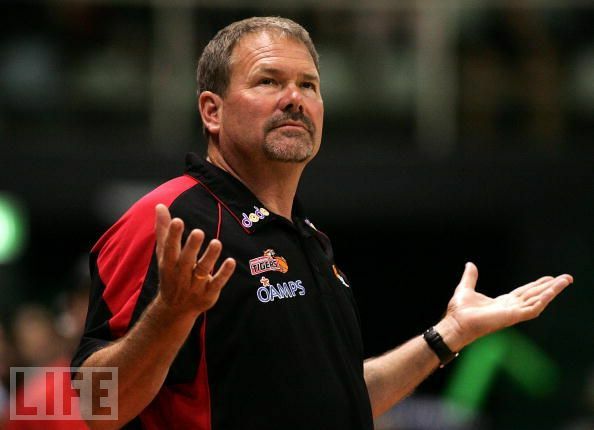 Darryl McDonald took the reins and is an NBL and Tigers champion in his own right. He immediately came out and preached the importance of defence. The Tigers were once again at the SNHC, this time hosting the Wollongong Hawks, where they pulled a 20 point drabbing from somewhere. Corey Williams was on fire with 19pts and 11 assists and he lead the Tigers to this shock victory and Darryl McDonald further reinforced the notion that new coaches win their first game. In the AFL it is also a common occurence, in fact since 1987 there have been 38 wins, 39 losses and 1 draw when a new coach has taken the helm (Stats courtesy of AFL statisticians Cam Sinclair and Col Hutchinson). Now that stat line isn’t as impressive as I thought it was, however in my recent memory every new coach I have seen has won their first game in charge, except Damien Hardwick at Richmond. So if it’s not the coach that makes the players come out and win, because to be honest you cannot turn around a full team of players in less than a week to the point that the Tigers have last week, what is it? The simple answer is passion. Every time a coach is fired the team bands together on and off the field. The players believe that after suffering through a week of media criticism, about the team in general, they need to show a united front and perform to the best of their ability. This in turn brings about the question, why couldn’t they do that for the previous coach? This just shows that no matter how much coaching the man, or woman, in that position does, in the end it comes down to the team that crosses the line to play the game. The coach can only do so much tactically if their players aren’t performing to the required standard. Let me put it to you this way, the Melbourne Tigers had 20 turnovers or more in their first two games of the season, Al Westover didn’t throw those passes! The Tigers shot less than 40% in their first game of the season, Al Westover didn’t put up those shots! Too many times a coach is blamed for the players not performing, when in reality it is exactly that, the players are not performing.